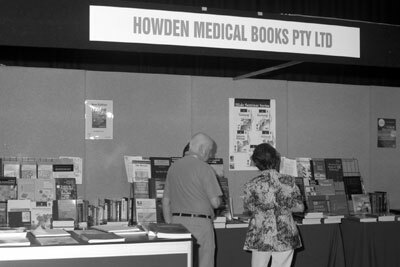 Howden Medical Books has been established for over 30 years. We were originally based in Sydney, NSW, where the business was founded by Conrad Howden (hence the name!) and then bought by David Leask. It has been in the Leask family ever since. David and his wife Anda had a shop in Darlinghurst, and later moved the business up the coast to Ballina. Our office is currently based in Mitcham, Victoria, with David’s son Tim and his wife Jane now at the helm as David passed away in August 2012. We regularly supply books from all the major publishers such as Elsevier, Wolters Kluwer, ARP Press, WHO Press, ASCP, Wiley, McGraw-Hill, Taylor & Francis, and Springer. We can source books from other publishers as well. At Howden Medical Books we specialize in finding difficult to source books. If there’s a book you’re looking for, please contact us and we can search for it.